The inception of Tecno Mobile in 2006 paved the popularity of dual-sim phones on the African markets. But before the company became a leading mobile brand all over Africa, it did not have a good start, as it received a series of negative feedback from the consumers in their target markets. They struggled more in Nigeria where a majority of mobile users found Tecno smartphones as substandard. However, Tecno Mobile has captured the hearts of the Nigerian consumers as it continues to create more sophisticated smartphones every year. They constantly receive positive product reviews, which led to the company's recognition of being one of the top smartphone companies in Nigeria in 2016. From what once thought to be substandard has now become a strong and competitive mobile phone brand, Tecno’s rise to popularity and outstanding sales were not an easy feat. The consumers did not know anything about Tecno phones because there were no promotions and events that could inform the people about their presence on the market. "...there were no press releases and extravagant events that occurred when it entered the Nigerian market," as stated in the article. “Evidently, there were fewer chances of letting people know of its existence, making it a bit difficult to gain promising sales." 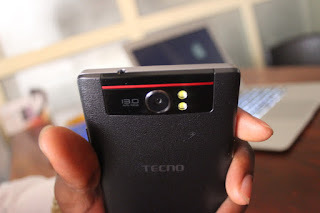 However, such unfortunate moments did not stop Tecno Mobile from getting what they want. They found ways to make sure that their smartphones would be in the hands of Nigerian mobile users. Through their efforts, Tecno phones have eventually become a favorite choice over other top mobile brands, like Nokia, Samsung, Itel, Blackberry, and Huawei. As a matter of fact, six out of 10 people - that is 60 percent - use a Tecno mobile phone for everyday use based on a case study about tech innovations. Moreover, Tecno’s Boom, Camon, and Phantom series have risen to greater heights of popularity among typical mobile users, phone enthusiasts, as well as tech experts and analysts. As of the present time, Tecno products are no longer classified as low-quality gadgets. They are top-notch and are able to compete against the best smartphone brands in the telecommunications industry in Africa. The rise of Tecno smartphones in Nigeria has escalated even further as the shipment of phones grow even more, according to the latest report from the International Data Corporation (IDC) through Technology Times. 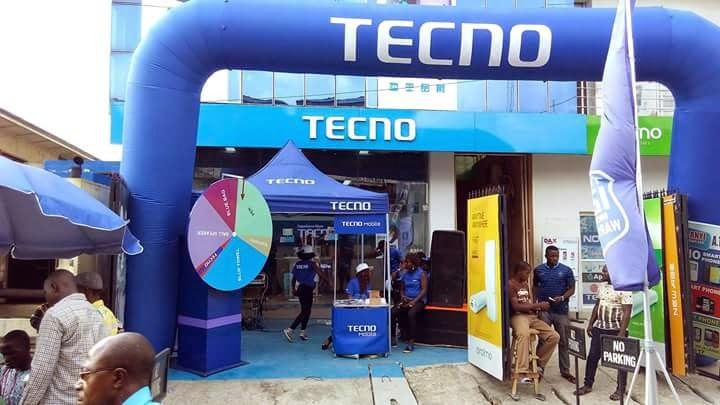 Apparently, the number of Tecno phone shipment going to Nigeria and Kenya went up to 269 percent during the third quarter of 2014 - a clear indication of how strong Tecno Mobile has turned out to be ever since it started its business operations in 2007-2008. Tecno Mobile is not only thriving in Nigeria. It is also making its name in almost all countries in Africa. Based on a report of a Nigerian research agency, Tecno topped on most African markets from November 2014 to May 2015. The report also revealed that the smartphone company was able to sell more products in Nigeria and Tanzania than other original equipment manufacturers (OEM) when the review was conducted. Meanwhile, Tecno was at the second place on the markets of Cameroon, Ethiopia, and Ghana. It got the third spot in Kenya, following after mobile giants, Nokia and Samsung. That’s not such a bad thing if you think about it. All in all, Tecno got a total market share of 25.3 percent in six countries, including Nigeria. Needlessly to say, that percentage is higher than that of Nokia with 18.3 percent, Samsung, with 13.8%, Itel with 10.6%, and Huawei with 7.3%. There are clearly far behind from Tecno. Despite the overflowing success of Tecno Mobile in Nigeria, the phone mobile giant remains grounded by helping those in need. It has done several Corporate Social Responsibilities (CSR), which is a brand marketing strategy involving advocacies and humanitarian projects. These activities promote the brand, at the same time, they empower people and their communities. One example is Tecno’s Light Up Ikeja Initiative, which started in the first quarter of 2016. Ever since the company started the said project, it has already provided and installed more than 80 solar-powered streetlights in Ikeja’s Computer Village and its surroundings to secure the whole area during night time. Aside from the Light Up Ikeja Initiative, Tecno Mobile has executed more CSR projects, including scholarship grants for students studying at public schools in Lagos, Nigeria and giving support to Michael Essien Foundation in Ghana. Do you have anything to add to this post or you just want to share your experience on Tecno smartphones? kindly tell us via comments.